VIMS Profile – click here. The Council would like to thank those that have served on the Council this last term and welcome newcomers ready and willing to continue to make a difference in the field of video interpreting. If you are interested in a vacant position, please contact the VIMS Chair, Sarah Spencer, at vimschair@gmail.com. 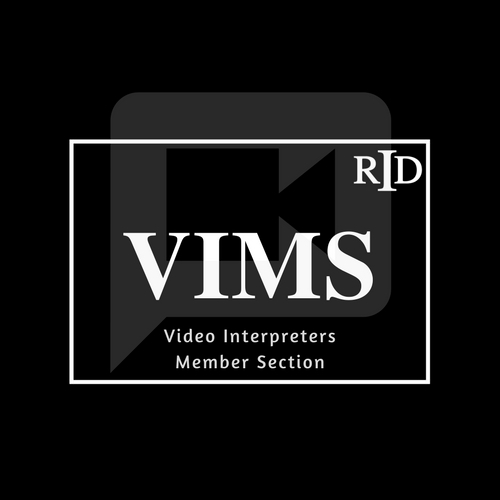 Information for Interpreters working in Video Relay Services (VRS). VIMS News: To join the VIMS online discussion group, send an e-mail to vimschair@gmail.com. If you are interested in joining the member section, sign into your user account, and join there. Membership in VIMS is open to all members in good standing of RID. VIMS Action Items: The action items developed at each of the region conferences in response to the winter survey have now been categorized into short term and long term goals. See what the action items are. March 2012 Survey Data: VIMS conducted a survey in March in an effort to better understand where our membership would like our focus to be. A total of 715 respondents completed the survey. To see the raw data responses, see here and look for future analysis of open response data. July 2012 Update on FCC VRS Reimbursement Rates: The FCC recently published an order (DA 12-996) stating that current Video Relay Service reimbursement rates will continue from the previous structure established in 2011 until the Commission determines a new restructuring plan for which they had elicited comments on in March of 2012, but have not reported on as of yet. For more information please refer to this document. 2012 Region Conferences Update: VIMS was represented at each of the Region Conferences this past summer. We used this time to take the information gathered in our recent survey and develop action items through a dialogue with our members. Please see the PowerPoint used to facilitate the discussion and be on the lookout for more information to come regarding the VIMS action items we gathered.